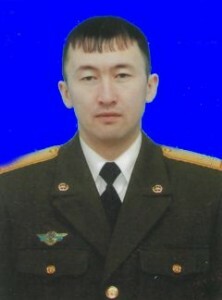 Full name, date of birth: Dyusenbayev Yermek Shuinshibekuly, January 8, 1983 birth. Work experience: the general experience is 12 years, the scientific and pedagogical experience is 7 years. What university, for what specialty and when he graduated: Karaganda State Technical University, “Hoisting, construction, road machines and equipment” in 2006. Academic degree, academic title, academic degree: Master of Technical Sciences in the specialty 6M071300 – Transport, transport equipment and technology, 2014, KSTU. Development of means of mechanization and the organization of the construction of “slot foundation”. Published 20 scientific papers, 14 thesis report, 3 innovative patents, 3 tutorials issued. Items read in the academic year: Lifting machines, Transporting machines, Loading – unloading machines, Repair of transport equipment, Fundamentals of the technology of production of transport equipment, Processes transformation in the life cycle of machines, Manipulators and robotic systems. March 2014 – advanced training at the department “Road-building machines” in Kazan State University of Architecture and Civil Engineering.